Dr. Jafari earned his Master’s of Science in Applied Molecular Biology from University of Maryland Baltimore County. He completed the Doctor of Dental Surgery from Baltimore College of Dental Surgery, University of Maryland dental school in Baltimore. He has obtained his General Practice Residency at Lehigh Valley Hospital in Pennsylvania followed by post-graduate Endodontic residency at University of Michigan, Ann Arbor. He has published scientific research articles in both prestigious endodontic and science journals. 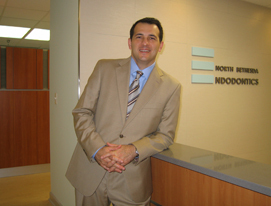 Dr. Jafari moved back to his home in Maryland, in 2004, where he began to practice endodontics. Dr. Jafari has been selected by a vote of his peers to be listed amongst the "Top Dentists" by Washingtonian Magazine in 2013 and 2015. Dr. Jafari is a member of the American Association of Endodontists, American Dental Association and member of several study clubs such as the Edward Pennick Endodontic Study Club, Maimonides Dental Society, Dental Science Study Club and Washington Iranian Dental society. He is the past president of Washington Iranian Dental Society and currently an excecutive board member of the Maimonides Dental Society. Dr. Jafari has presented lectures on diagnosis and treatment planning in endodontics to several study clubs including the Seattle Study Club, Science Dental Study Club, WIDS, Potomac Dental Study Club and Bi-county Dental Study Club. Outside of Dentistry, Dr. Jafari enjoys spending time with his beautiful wife, Bita and his daughter, Yara. His hobbies include tennis, skiing, and traveling. 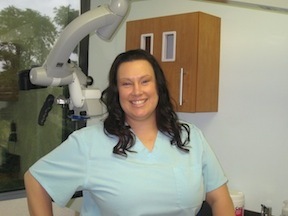 Jaime is our friendly dental assistant. 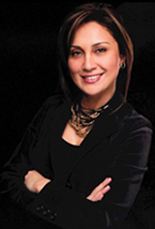 She is licensed in dental radiology and has several years of experience assisting in the field of Endodontics. Nadia is our cheerful patient care coordinator. She has several years of administrative experience in the health care field. Her outstanding customer service is well recognized. 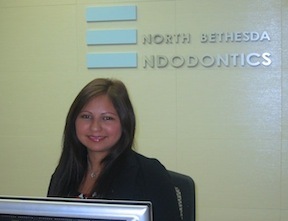 Bita, Dr. Jafari's wife was the Interior and Graphic Designer of North Bethesda Endodontics. she is also the office support member.